On arrival at the boatyard you will be given a trial run to familiarise yourself with your boat, it’s equipment and controls, and this advice, together with the guidance and hints that follow, should help you cruise with confidence. The following are only general hints as procedures on some boats vary – we will give you specific details on your chosen boat. You will leave the boatyard with a full tank of fuel – normally enough for a one-week cruise, but it’s a good idea to check your fuel supply if a dipstick is provided or a fuel gauge fitted. Don’t risk running out by returning with an empty tank. The value of any unused fuel will be refunded to you at the end of your holiday. 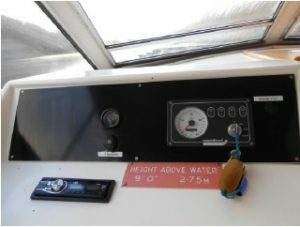 Many boats have an alarm/warning light which may come on when the engine is being started. This should stop once it is running – if not, stop the engine and contact your boatyard. 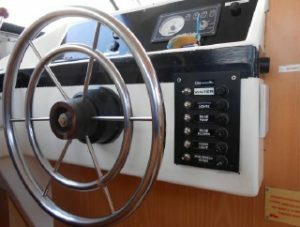 Most boats now have an automatic bilge pump for the main bilge and a separate bilge under the engine, which may be checked visually. An excess of oil or water in this space should be reported to the boatyard.